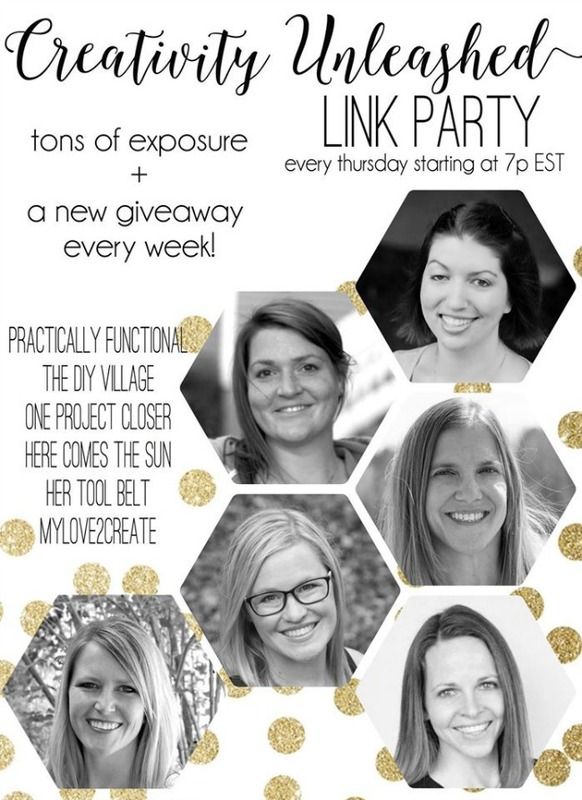 Creativity Unleashed #131 and the Last Black Dog Salvage Paint Giveaway! July is almost over, I can't believe it! We are on vacation this week at a family reunion, and it is going too fast, I love being with my family. :) Sometimes I just wish time could stand still. Welcome to the party! I am so happy to have you here! 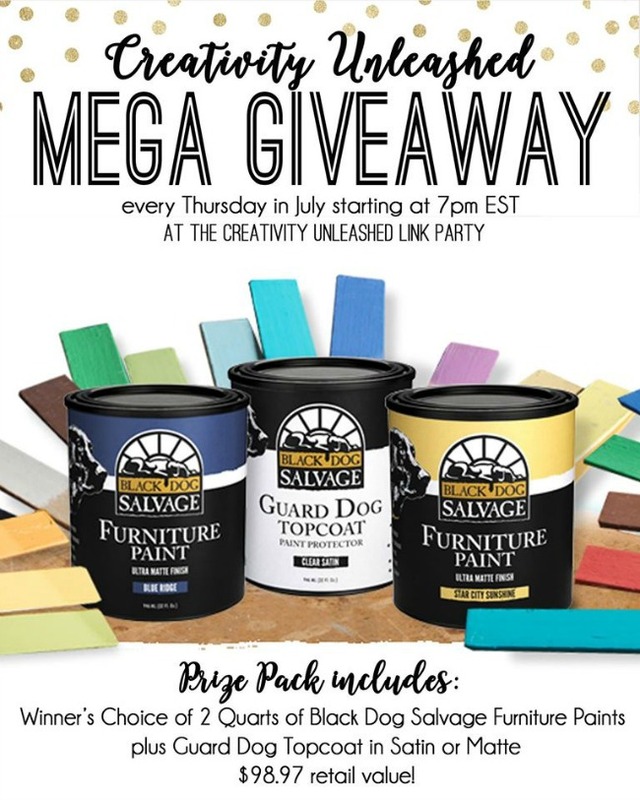 This is our last week for our Black Dog Salvage Paint Giveaway, you don't want to miss out so be sure to enter to win!! Check out these awesome Rock stars this week! So fun! 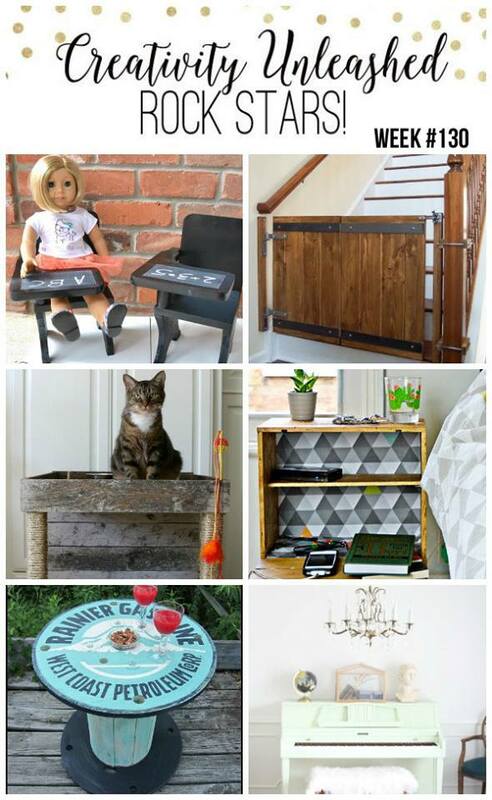 I would paint my bed frame bench and matching dresser. We own an electrical construction business and so I have an unending supply of spools of all different sizes. I have been meaning to make an outdoor clock with one and winning would definitely jumpstart that project.